Can I Keep My Credit Card When I File for Bankruptcy? Can I Keep My Credit Card When I File for Bankruptcy? Higginbotham Bankruptcy Law Firm > Bankruptcy > Can I Keep My Credit Card When I File for Bankruptcy? 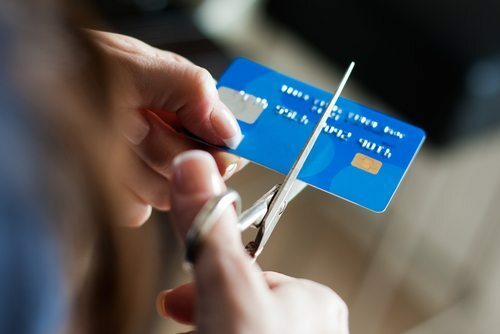 Can I Keep My Credit Card When I File for Bankruptcy? Many people filing for bankruptcy have questions about what will happen to their credit cards when they file. Will they be able to keep them but not use them? Will they have to be surrendered or will the company cancel the card? Can other credit be obtained later after the bankruptcy is completed? Here are answers to your important questions. Will the Credit Card Company Cancel My Card? Even if you don’t owe a balance on your credit cards, you have to list them in a Chapter 7 bankruptcy. Once the credit card company learns of your impending bankruptcy, they will most likely cancel your card. This is because a credit card is a revolving account and bankruptcy cancels out those contracts. Therefore, the credit card company is unlikely to allow you to continue making purchases on a card without contract. This is because it leaves them with no ability to compel you to pay back the debt. Any other revolving account that you have, such as credit accounts for healthcare, will also likely be canceled, even if you’ve paid the balance. You likely can’t keep or use your current credit cards during your bankruptcy. But, you can begin to establish credit after bankruptcy using new credit cards and consumer financing. More often than not, the only type of credit card you’ll be able to qualify for after bankruptcy is a secured credit card. This means you’ll have to put a down payment on the card, usually a few hundred dollars, and you’ll only be extended credit in the amount of your deposit. Although it works similarly to a debit card, most secured credit cards charge similar fees and interest rates to unsecured cards for bad credit. However, this is one of the most tried and true ways to build credit again after a bankruptcy filing. At the Law Firm of D.C. Higginbotham, we can help you better understand what will happen before, during, and after a bankruptcy filing. We’ll counsel you on what to expect, what will happen to your credit cards and your assets, and what will happen with your debt depending on what type of bankruptcy you’ve filed. Contact us today for a consultation to discuss your case in detail by calling (904) 354-6604. We’re available now to help you.